The battle for the attention of social media audiences is heating up, with Instagram and Snapchat both rolling out new features in an effort to deliver the coup de grâce to the other and emerge as the dominant social platform for sharing photos and videos. Until recently, Instagram has been the preferred platform for well-edited, highly curated, aspirational photos and videos, while Snapchat has been steadily attracting social media audiences—teenagers and millennials, in particular—by providing a way to share raw “in-the-moment” content which disappears after 24 hours. 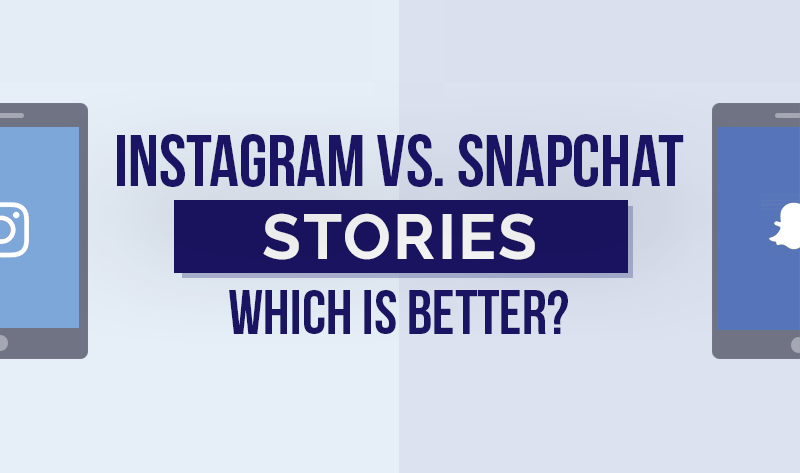 With the launch of Instagram Stories, however, the Facebook-owned app is now encroaching on Snapchat’s territory (and making a play for its users) by offering its own version of Snapchat’s ephemeral, off-the-cuff content. Instagram’s new feature raises a number of important questions for marketing professionals, chief among them: Is Instagram Stories or Snapchat a better use of my company’s marketing resources? While similarities between the two apps are numerous, knowing how each platform differs can help marketers make an informed decision on where to invest their time and advertising dollars.